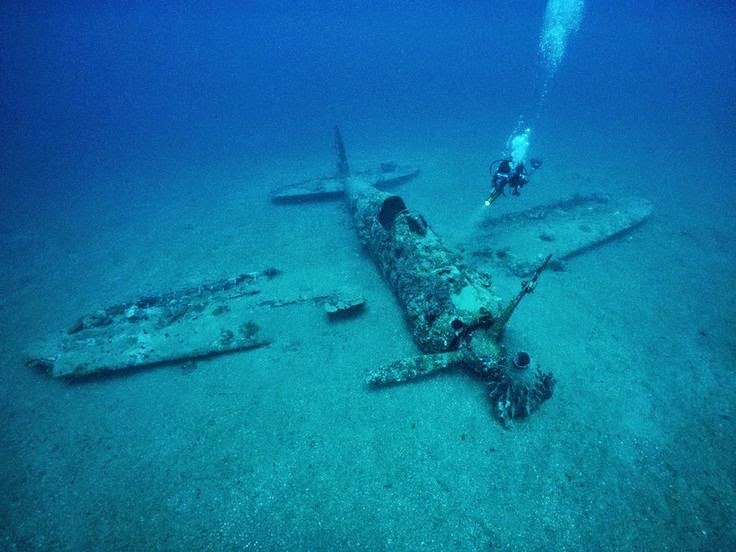 Bermuda Triangle has always been engulfed by mystique. Many theories revolve around the mysterious disappearances of ships and airplanes from the area. While some flaunt scientific explanations, some blame it on the supernatural. While Bermuda Triangle remains an enigma for all, we bring to you some of the most interesting facts about the world’s most intriguing mystery. Of all the mysteries which are the most talked about, Bermuda Triangle can rightly be right on top of the list. Some believe that something mystic engulfs the Bermuda Triangle. This is one of those mysteries which can be a strong contender to be crowned as the Jewel of all the unsolved mysteries. But could it be just another manufactured mystery? The Bermuda, Or Devil’s, Triangle is an area of ocean found off the south-eastern tip of the United States. It is a region of water indelibly connected with mysterious vessel disappearances; the popular perception is that countless boats and planes have been inexplicably lost there. 1. Many people have heard of the Bermuda Triangle, but did you know that it is also known as The Devil’s Sea and also The Hoodoo Sea? difficulty with the compass as it did funny things. 3. In alleged occurrences that happen in the Bermuda Triangle, there are often no signs of debris or anything to do with the object that has gone missing. This is said to be because the Gulf Stream runs the Bermuda Triangle and it can very quickly get rid of any debris, thus leaving no sign of any incident. 4. The area of the Bermuda Triangle is said to be around 440,000 miles of sea. This is an area much larger than Texas, Louisiana and Oklahoma combined. 5. The most famous case to date of the Bermuda Triangle is the disappearance of a plane called flight 19 and also search planes that was sent out to try and find them. Combined 27 men and 6 planed were never found. This happened in 1945. 6. Possible theories include UFOs, the lost city of Atlantis, a Wormhole and even natural reasons like bad weather. 7. There have been approximately 1,000 lives taken in the past 100 years, apparently caused by the Bermuda Triangle. Not all of these in suspicious circumstances, but it just goes to show that it is tricky to navigate the area. 8. There is also another mystery in a mystery as the exact location of the Bermuda Triangle is not actually known, making it even more of a talking point. 9. The said three points of the Bermuda Triangle are said to be Florida, Puerta Rico and of course Bermuda. As said before though, the exact co-ordinates are not known precisely. 10. In the Bermuda Triangle, it is one of two places on Earth, that on a compass will not point true north. This means that you have to compensate, otherwise you could end up of course- which could be why so many have done so. The triangle extends from Bermuda to Miami and then to the Puerto Rico, and is said to contain a supernatural secret. Some high profile disappearances have occurred there, and the notion of its existence has been turned into a modern myth in the media. Even the term ‘Bermuda Triangle’ was coined in a fictional publication. But does the sea here really house some unknown power that pulls sea and airmen to their doom, or is this mystery based mainly on imagination? The most famous loss in the triangle is known as the mystery of Flight 19, and happened on 5th December 1945. A squadron of five US Navy Avenger torpedo bombers set off from their base in Fort Lauderdale, Florida to conduct a practice mission over the island of Bimini. The flight contained 14 men, all of them students apart from the commander, Lt. Charles Taylor. About an hour and a half after the mission began, radio operators received a signal from Taylor saying his compasses were not working, but he believed he was over the Florida Keys. He was advised to fly north which would bring him back to the mainland. In fact, he was over the Bahamas, and his attempts to head north and north-east merely took him further away from solid ground. A terrible storm that day hampered communications and it seems Taylor rejected a suggestion to pass control of the squadron to one of the other pilots. Radio contact was entirely lost and search craft were dispatched to try and find the flight to guide them back in. Of the three planes used to rescue Flight 19, one lost communications itself because of an iced over aerial, one was just unsuccessful whilst another seemed to explode shortly after take-off. Flight 19 itself has never been found, but it is assumed that they ditched into the raging sea when their fuel ran out, with the heavy planes rapidly sinking to the ocean floor. Something similar to what might have happened to Malaysia Flight MH370? The US Navy recorded that the disaster was caused by Taylor’s confusion, but an appeal by his family had this overturned, and a verdict of ‘causes or reasons unknown’ was given. However, Flight 19 is not the only high profile official loss in the area, and the USS Cyclops and Marine Sulphur Queen have also disappeared without trace. The legend of Flight 19 was cemented by its inclusion in Steven Spielberg’sClose Encounters of the Third Kind movie. Indeed, some theories state that visiting UFO craft enter an underwater base in the Bermuda area, and they have been the cause of the disappearances. Other fantastical ideas such as technologies from Atlantis or evil marine creatures have also been considered. Some people even suggest the triangle is the site of a gateway into another dimension. Strange oceanographic features such as huge clouds of methane gas escaping from the seabed have also been blamed for the disappearances. In reality, the triangle does have one natural quality which may contribute to the losses. Unlike everywhere else in the world – apart from the Dragon’s Triangle near Japan – compasses point to true north rather than magnetic north. This may be a contributing factor to the triangle’s legend, but the US Coastguard officially believes the losses are caused by a mixture of man-made and environmental mistakes. This region is used by a large amount of ocean and air traffic, much of which is navigated by inexperienced pleasure-seekers. A strong Gulf Stream and unpredictable weather conditions not only cause vessels to run into trouble, but also remove many traces of them once they have been wrecked. It is interesting also to note that the coastguard does not view the area as having a particularly high incidence of accidents. One researcher examined many historic losses in the triangle. He came to the conclusion that rumours and elaboration had clouded the real, understandable, causes behind the events. Similarly, the international insurers, Lloyd’s of London, have records that demonstrate that this region near Bermuda is no more treacherous than any other waterway. Being such a strange and mysterious location, the Bermuda Triangle did not feature in the Top 10 most dangerous waters for shipping released by the World Wide Fund for Nature (WWF) in 2013. According to the list, the South China Sea had the most number of shipping accidents over the last decade. However, the myth of the Bermuda Triangle is so strong it will live on as long as fictional writers use it as a site of mysterious happenings. What do we make of people who simply disappear one day and are never seen again? That’s long been of particular interest to me – so interesting that I’ve penned several books on the subject. As I’ve long noted, there are numerous reasons why people vanish – murder, abduction, suicide and voluntary escapes from reality among them. And then there are the more unnerving cases, where no rational explanation seems to exist. How, or why, do such things happen? Are they incidents linked to the supernatural, or could there be more mundane explanations for many of them? Over the years, I’ve collected dozens of stories of disappearances that seemed the strangest to me, the most inexplicable and in many cases, the most disturbing. I certainly do not claim to have collected every unsolved disappearance in history (far from it, which is disturbing in itself) and some readers will notice the glaring lack of inclusion in any of my writings for what some believe is a prominent paranormal disappearance mystery spot – the Bermuda Triangle. The fact that the Bermuda Triangle is missing from all of my books was not an accident on my part. While the area of the Triangle is certainly marked by a number of strange occurrences, I don’t believe there is anything paranormal to it at all. In fact, after years of collecting stories of unsolved vanishings, it become readily apparent that Triangle boasts no more disappearances that other parts of the world’s oceans. The Bermuda Triangle, also known as the Devil's Triangle, is a region in the western part of the North Atlantic Ocean in which a number of aircraft and surface vessels are alleged to have disappeared in mysterious circumstances which fall beyond the boundaries of human error, piracy, equipment failure, or natural disasters. Popular culture has attributed some of these disappearances to the paranormal, a suspension of the laws of physics, or activity by extraterrestrial beings, but in many cases, this couldn’t be further from the truth. Documentation shows that many of the incidents have been inaccurately reported or embellished by later authors – something that happens far more often than most of us care to admit. Of course, this is not to say that there have not been strange disappearances in the area, or that unsolved disappearances don’t exist, it’s just that the mythos surrounding the area is much greater than it deserves to be. 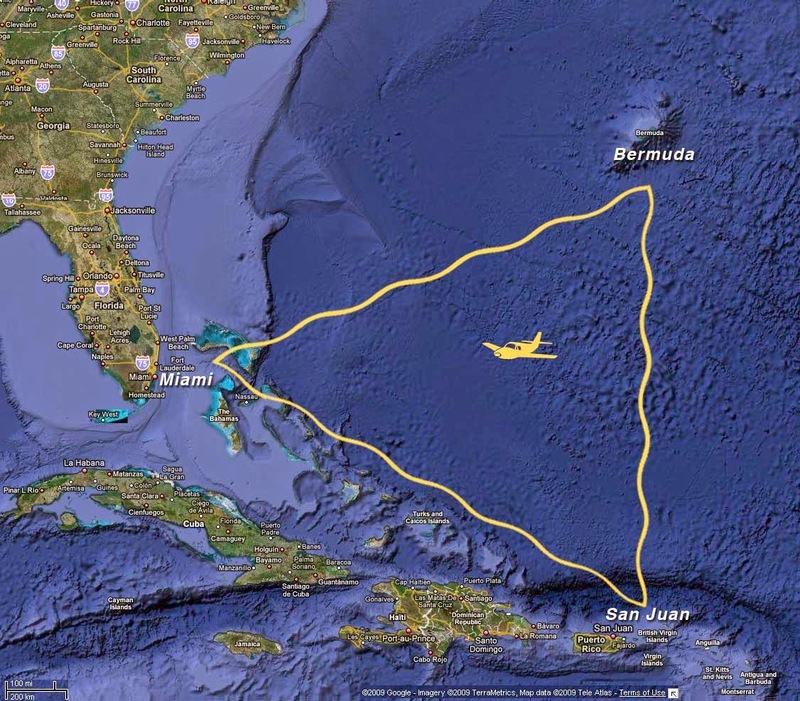 The boundaries of the Bermuda Triangle are allegedly from the Atlantic coast of Florida to San Juan, Puerto Rico, and on to the mid-Atlantic island of Bermuda. Most of the alleged disappearances are concentrated along the southern boundary around the Bahamas and the Florida Straits. The area is one of the most heavily-sailed shipping lanes in the world, with ships crossing through it daily for ports in the Americas, Europe, and the Caribbean Islands. Cruise ships are also plentiful, and pleasure craft regularly go back and forth between Florida and the islands. It is also a heavily flown route for commercial and private aircraft heading towards Florida, the Caribbean, and South America from points north. If this was some sort of paranormal “wormhole,” wouldn’t disappearances occur much more often? That would certainly seem to be the case, so how did such stories get started in the first place? The seeds of the Bermuda Triangle legend were first planted by an Associated Press dispatch on September 16, 1950, in which reporter E.V. Jones took note of what he characterized as “mysterious disappearances” of ships and planes between the Florida coast and Bermuda. Soon, nearly every new book on true mysteries included chapters on the Bermuda Triangle and claims began to be made that the area was populated by an intelligent, underwater civilization, which was stealing ships, plans and people from our world.